As this year winds down we’ve recapped its highlights to bring you the best of 2018 in fashion, sneakers, music, movies and more. In 2018, with sci-fi epic 2001: A Space Odyssey celebrating its 50th birthday, Jun Takahashi referenced Stanley Kubrick and Arthur C. Clarke’s vision of the space age on cotton tees and hoodies — clothes woven from materials humans have worn for millennia. In the decades since, we’ve gone from A Space Odyssey and the Apollo missions to an interconnected world and the possibility of space tourism. The material that would become GORE-TEX, one of the highest-performance fabrics on the market, was invented in 1969, the same year Neil Armstrong first stepped on the Moon. So why, five decades later, are we still dressing like our grandparents? 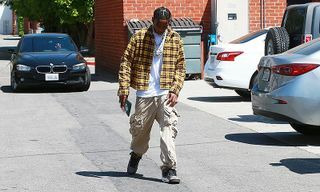 Not to say there weren’t innovators pushing forward fashion’s potential. Some took small steps using old tech to serve modern needs. Others took giant leaps that might help save the planet. From sustainability breakthroughs such as PrimaLoft Bio to Goldwin’s prototype spider silk ski jacket, join us for a look back at the year in fabric innovation. 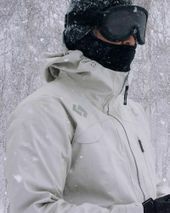 PrimaLoft was founded in 1983 when the US Army was seeking a synthetic, waterproof alternative to goose down for use in sleeping bags and clothing. This year, performance met sustainability with PrimaLoft Bio, the first 100-percent recycled, biodegradable synthetic fiber for fabric use. Produced as both insulation and textile, PrimaLoft Bio will, when exposed to the microbes in landfills or the ocean, biodegrade rapidly into naturally occurring components: water, methane, carbon dioxide, and biomass. In these environments, 80 percent of PrimaLoft Bio breaks down within a year, whereas typical synthetic fabrics can take 200 years to decompose. As such, PrimaLoft Bio has paradigm-shifting potential. It was named Outdoor Retailer’s 2018 Product of the Year, although we’ll have to wait until fall 2020 to see its first use in civilian gear. If the name Vollebak sounds familiar, it’s probably down to the British outdoor brand’s headline-grabbing Kevlar hoodies and solar-powered survival coats. 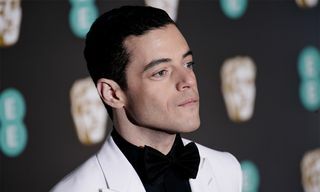 But in August, it went a step beyond, unveiling the Graphene Jacket, a running shell made from the lightest, strongest material on Earth: graphene, winner of the 2010 Nobel Prize in Physics. 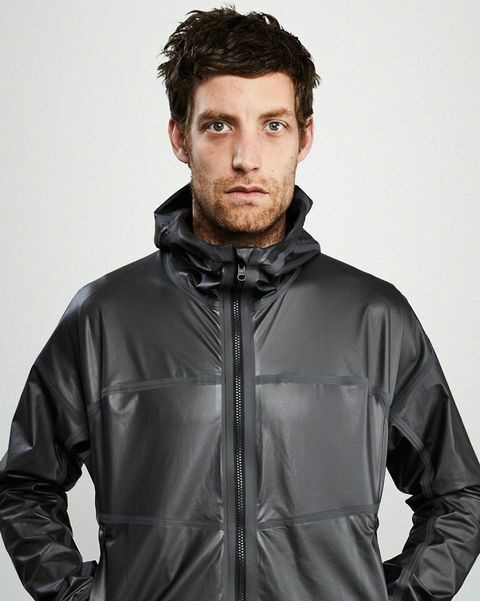 Weighing just over 13 ounces, the Graphene Jacket is waterproof, breathable, and durable. Graphene itself can also theoretically absorb an unlimited amount of heat — although, with the jacket only partially made of the material, Vollebak doesn’t recommend throwing it into an active volcano just yet. If that’s not advanced enough, according to the brand, graphene is “so strong and so stretchy that the fibers of a spider web coated in graphene could catch a falling plane.” Again, though, probably not recommended in reality. Leather trials made by the @ecco_nextgen on the three week crash course at ECCO Leather. The fashion industry uses and abuses water. A dependence on soil-depleting crops like cotton is part of it, but a far dirtier record belongs to leather. 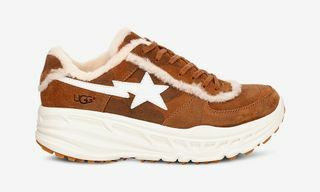 According to ECCO Leather, one of Europe’s largest tanneries, the leather industry uses 400 billion liters of water a year. And tanning agents such as heavy metal chromium mean much of that water becomes noxious waste, so using less water would be a start. Step forward, DriTan. Unveiled by ECCO before this year’s IWA World Water Congress, DriTan is a proprietary tanning agent that utilizes moisture trapped in leather hides to aid processing. According to the brand, curing a hide with DriTan saves 20 liters of water, equivalent to 25 million liters when applied across ECCO Leather’s annual output. While that might be a drop in the bucket for the industry, every wave starts somewhere. ECOALF is the first Spanish fashion brand to be designated B Corp in recognition of its commitment to the planet. 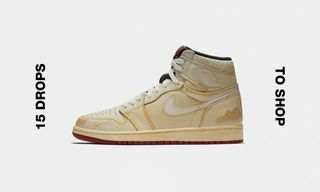 This summer, it took that commitment forward with the release of the Shao, a sneaker made from upcycled plastic and algae. Each pair contains the equivalent of five plastic bottles. Collected through ECOALF’s “Upcycling the Oceans” initiative, the bottles (plucked from the Mediterranean by local fishermen) are processed into the yarn that forms the Shao’s knit upper. The sole, meanwhile, is made from algae found in lakes and rivers yet retains most of the sponge-like properties that make other upcycled runners so comfortable. And as it’s sourced from nature, the algae sole makes the shoe “zero waste,” according to the brand. 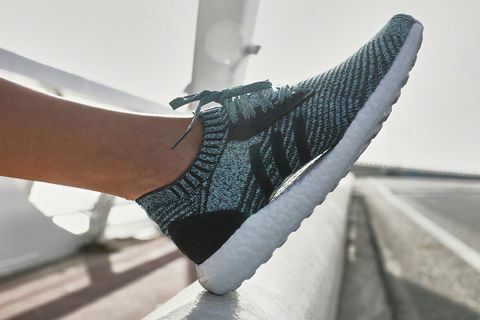 The adidas x Parley for the Oceans collaboration is one of the sneaker world’s great tech success stories, selling millions of shoes while helping to reduce ocean waste. But even the best shoes can only move things so far. 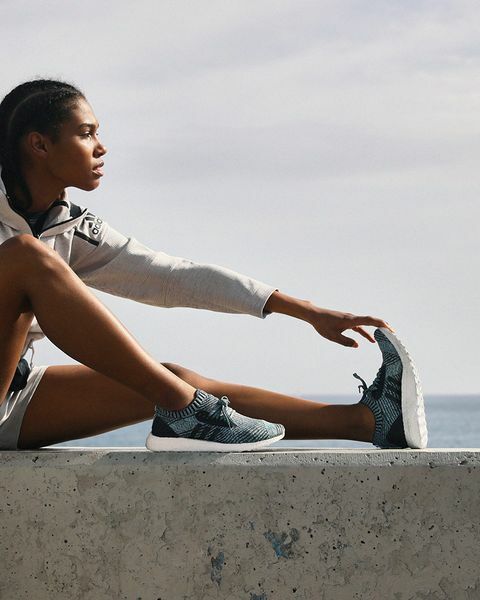 By volume, an adidas x Parley sneaker uses less recycled material (11 bottles-worth on average) than an equivalently made sweatshirt. So this January saw the first adidas x Parley for the Oceans apparel. 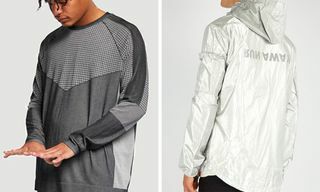 While the initial release included just adidas Outdoor gear, the line has expanded to include upcycled yarn in everything from yoga gear to running tanks, football kits, and everything in between. 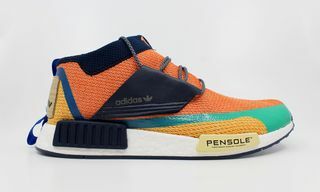 The collab’s expansion isn’t just a step toward adidas’ pledge to use only recycled plastic by 2024. According to Forbes, it’s on its way to becoming a nine-figure brand in its own right. Say hello to the jacket that is genuinely in sync with nature. The Eco PROOF™ jacket is waterproof, breathable, fluorocarbon free and made to last. It is effortless to repair, and all details are replaceable. Moreover, it is breathable so that you will stay dry regardless of the situation or the weather. 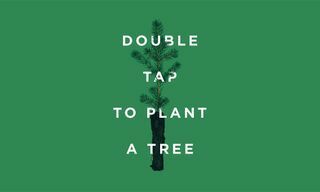 #EcoProof #Haglöfs⠀ ⠀ Tap 👆 to learn more. 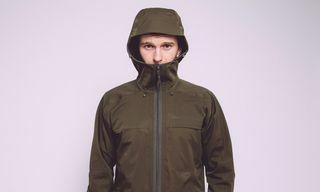 As its name implies, the Eco Proof jacket by Swedish brand Haglöfs is designed entirely with sustainability in mind. The jacket’s blueprint reads like a checklist of sustainable best practices: it’s made of recycled material, coated with PFC-free durable water repellent, designed for end-of-life repair, produced in bluesign-approved factories, and most impressively of all, features a waterproof membrane designed for efficient recycling. Alone, the fabric innovations above aren’t particularly new, but when assembled into a single off-the-rack jacket, the Eco Proof is a vision of what sustainable clothing could be. For more information, check out our review here. According to The North Face director of sustainability James Rogers, sustainable tech innovations generally do one of two things: “more good” or “less bad.” With its Cali Wool line in collaboration with Fibershed, last year The North Face took a first real step toward a fashion world of “more good” by using wool produced via farming techniques that rear animals in a way that actually removes greenhouse gases from the air. In November 2017, the Cali Wool collection included a single beanie, which sold out quickly. 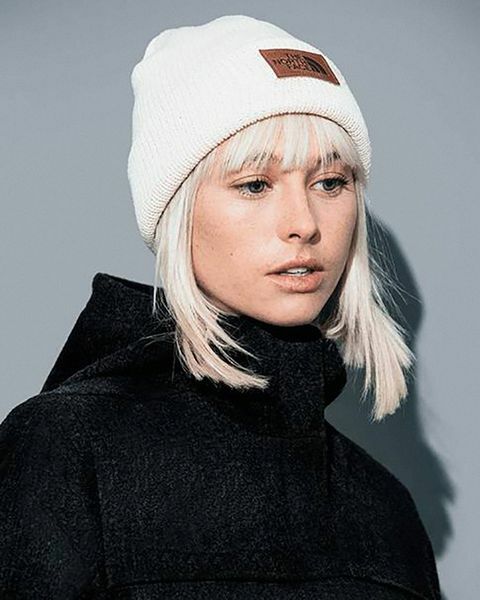 A year later, Cali Wool has expanded to include jackets and scarves, products whose success has encouraged farmers to join the more than 100 US producers that have completed or are in the process of implementing Fibershed-style Carbon Farm Plans. 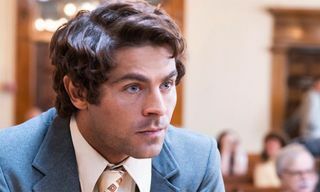 If the beefed-up Cali Wool collection succeeds, we could soon all be wearing carbon-negative wool. There’s wearable tech, and then there’s this. In August, researchers at the Massachusetts Institute of Technology (MIT) introduced the world’s first fabric with integrated semiconductors. Referred to as “soft hardware,” the fabric is woven from waterproof fibers housing LEDs and photo-sensors capable of processing signals sent through light. And if you’re wondering what that looks like in practice, check out this video of the fiber strands playing music transmitted to them via rapid pulses of light. The strands process the light signal and transmit it via their photo-sensing diodes, playing the song through a nearby speaker. Oh, and this all takes place in a fish tank. The technology is only months, not decades, away from IRL adoption. According to MIT professor Yoel Fink, the first commercial products incorporating the tech will reach the marketplace as early as next year. 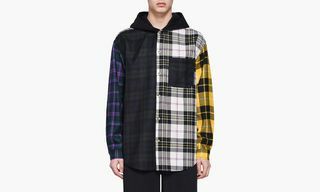 Stone Island FW20 could be (literally) lit. Due to the natural abrasion that occurs as we wear and wash our clothes, there are an estimated 1.4 million trillion microfibers in the oceans — so much that plastic-derived fibers are now being found in 25 percent of California’s ocean-caught fish. Microfibers represent a macro-sized problem for even recycled artificial fabrics, but textile maker Polartec has made a big step in combating the issue. 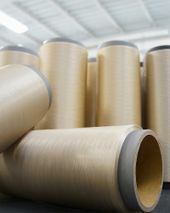 In November, it unveiled Power Air, a multilayer continuous yarn fabric that encapsulates lofted fibers (aka the nappy parts of fleece) entirely within the material’s structure. In short: Power Air provides the warmth of a technical layer but sheds five times fewer microfibers than a comparable mid-weight fleece. 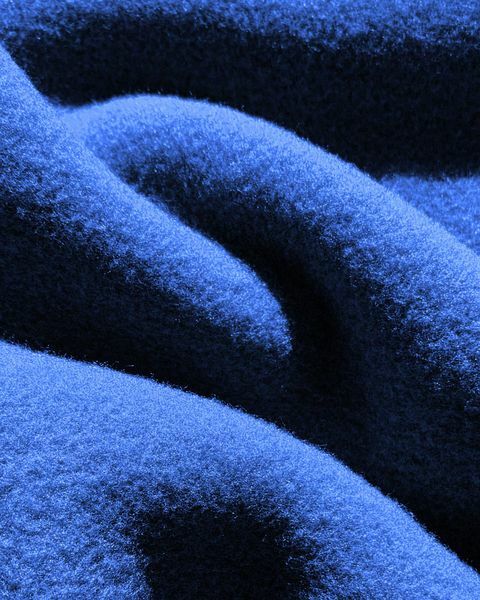 Polartec innovations powered the rise of the fleece jacket — considered a “serious pollutant” in a Patagonia study — but Power Air is an example of fabric makers leading fashion back toward sustainability. 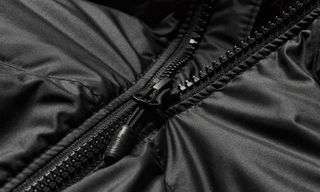 In January, Goldwin, the Japanese sportswear giant behind nanamica and The North Face Purple Label, teamed up with biomaterials innovator Spiber to produce a prototype ski jacket made of synthetic spider silk. 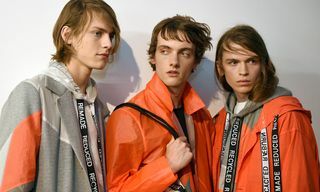 According to the brand, the jacket features QMONOS, a revolutionary new protein material based on spider silk. Environmentally friendly due to its non-reliance on petrochemicals, the material might offer one of the truest expressions of sustainable performance going: natural spider silk is one of the strongest materials in the world on a per-weight basis, with a strength-to-density ratio exceeding steel. The jacket is still just a prototype, but its media recognition and shortlisting for a Beazley Designs of the Year award suggest a big future ahead. According to Goldwin, “At present, QMONOS is undergoing an array of rigorous quality-verification procedures before being brought to the market.” Any volunteers?